There’s something about a belt that instantly (and literally!) pulls an outfit together. A belt adds a whole new element to elevate a look and gives the opportunity to rock a logo subtly. Want to know how to pull off this popular trend? Try wearing a belt with your jeans, a dress, or even your work pants! 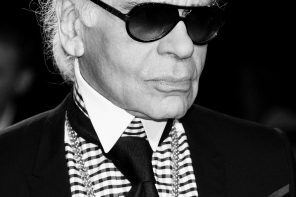 High-end designers are major contributors to the logo belt craze and from their designs, similar belts have trickled down to fast-fashion retailers as well. Here are a few of the designers responsible for the waist cinch sensation. The classic Hermès Logo Belt has been around for many years, but its revival has been fairly recent. 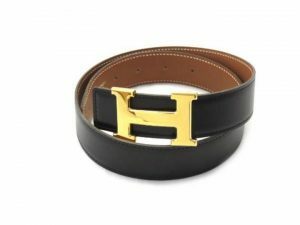 Previously seen paired with grandpa’s slacks, an “H” belt can now be found on celebrities, influencers and designer item lovers everywhere. Throw one on over a button down tucked into your work pants and you’ve got an outfit that manes business! 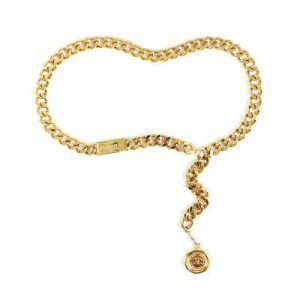 Although the iconic “H” is the most coveted, any fashion lover would be able to identify the “Collier de Chien” ( or “dog collar”) style belt, which is a less assuming, but just as chic option! 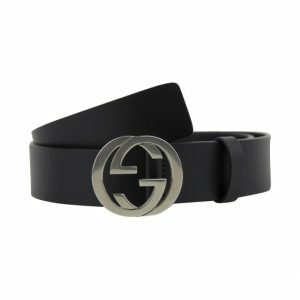 Gucci Belts are all the craze lately and just may be responsible for the entire logo belt trend! They’re a street style staple and could easily be dressed up. 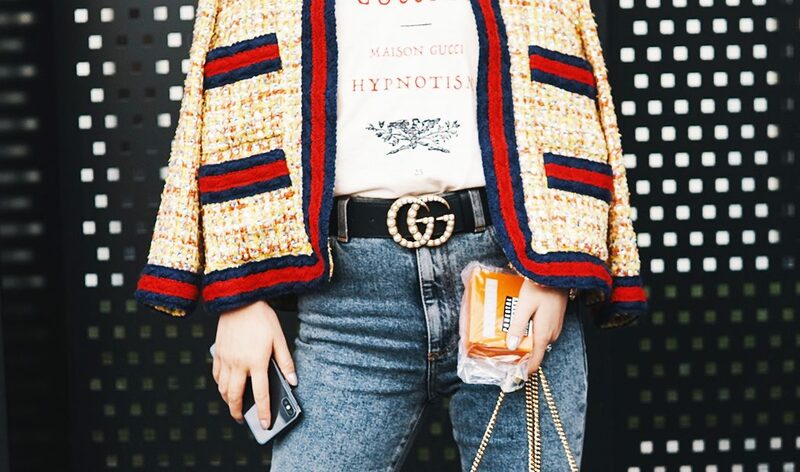 So many fashion bloggers have been seen with a Gucci belt on, that they’ve become part of the it-girl uniform. Be it with a t-shirt and jeans, or a drop-waist dress, join in on all the Gucci belt fun with the curated selection on LePrix. Looking to get into the belt trend in a different way? 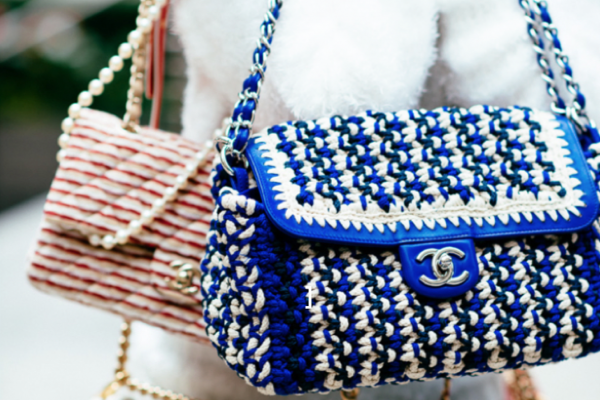 Chanel chain belts the dainty way to go! Influencers get creative with how they wear their Chanel belts. 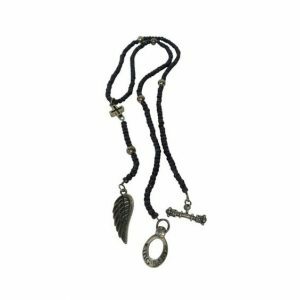 We’ve seen them over dresses, as necklaces and even over bikinis. One of our favorites has been a chain belt paired with an all denim outfit, as seen on #LePrixProfile influencer, Christa Allen. Looking to emulate Christa’s look and try the logo belt trend out for yourself? Shop all of our belts here!